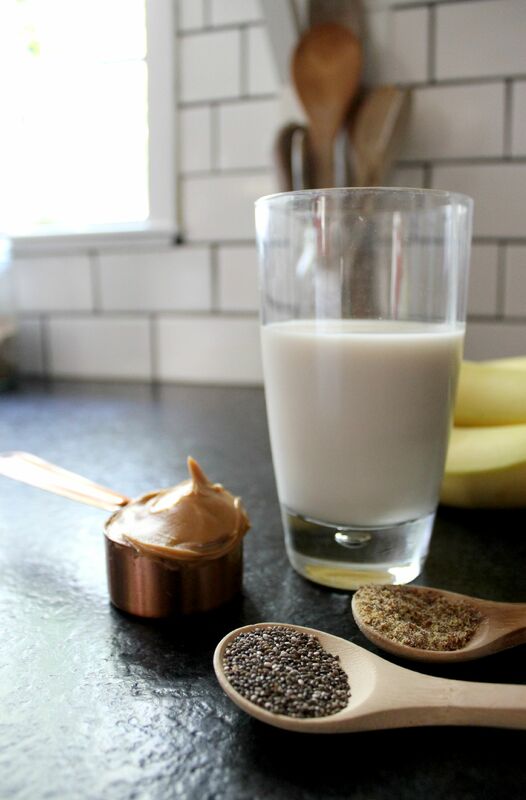 This banana chia peanut butter smoothie recipe uses cashew milk to make it super creamy! Healthy & very filling to last you all morning! This conversation is sponsored by Silk. The opinions and text are all mine. I can’t believe it’s already AUGUST! And as a former teacher, August always meant that I would be thinking about school every. single. day. until it started in September. Whether you’re a teacher, or a parent with kids starting school in the fall, you’re probably starting to stress a little bit about the morning routine that comes in the fall. 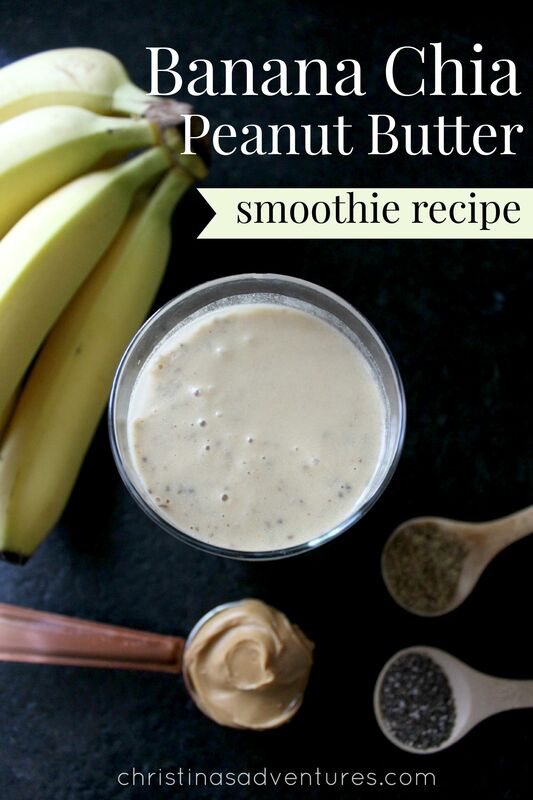 If you’re looking for a quick new breakfast recipe, you need to try this banana chia peanut butter smoothie! 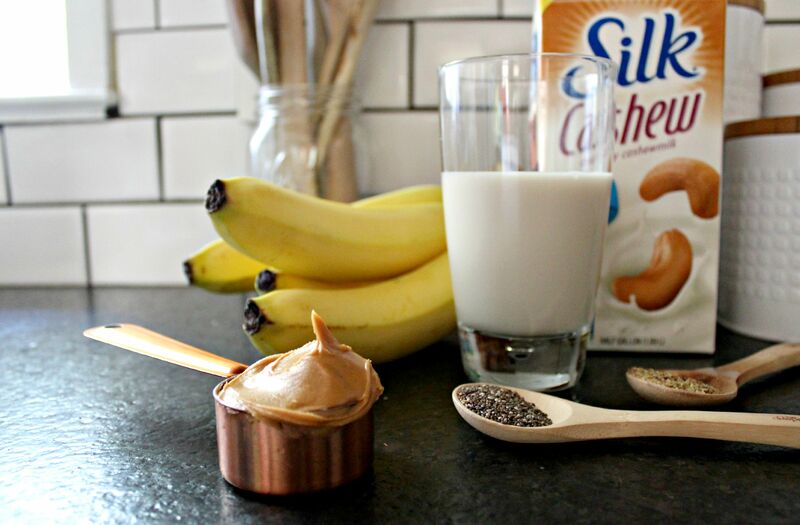 This recipe is filled with ingredients that will help to keep you full all morning. I’ve been making variations of this smoothie for years (my toddler’s obsessed as well) but I just started using Silk Vanilla Cashew Milk and now it’s super creamy! 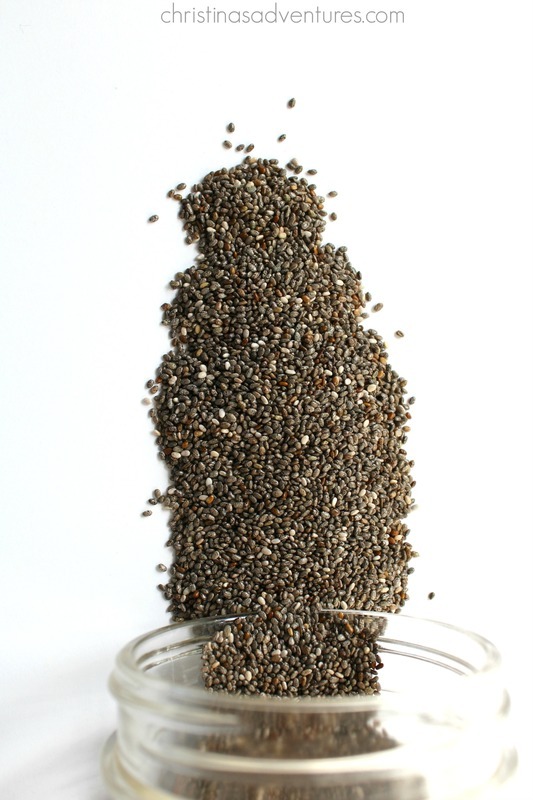 Can I just put in here how much I love chia seeds? They’re amazing little balls of fiber, protein & omega 3 fatty acids. I sneak them into pancakes, desserts, and obviously smoothies. Please tell me that you’ll make this recipe for you & your kids this fall! It’s delicious, filling, and tastes like dessert! Deliciously creamy & filling smoothie recipe. 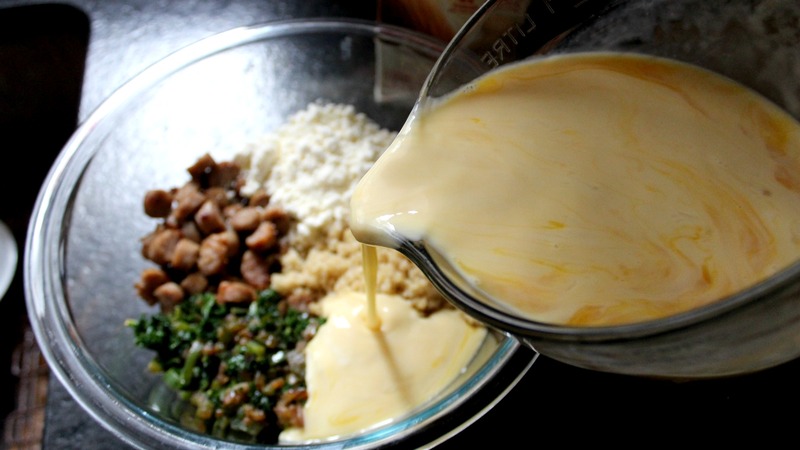 Add all ingredients into blender - blend until smooth. 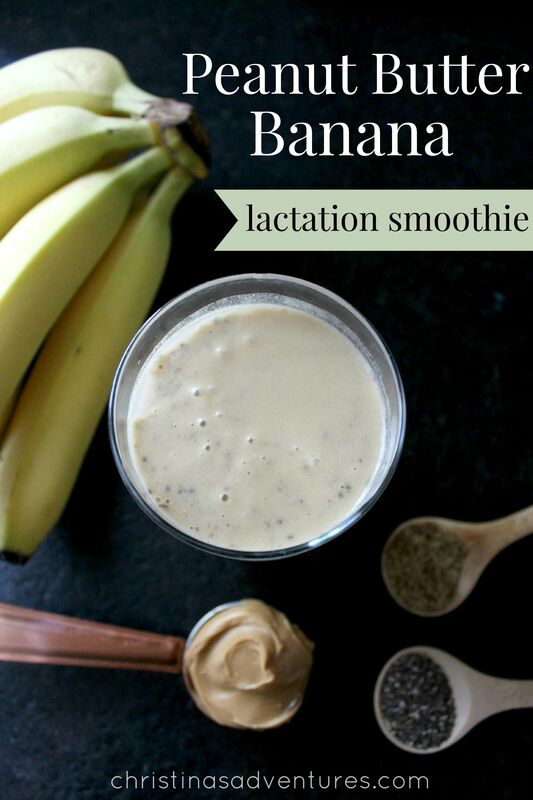 To make this a lactation smoothie, add 1 tsp brewer's yeast. Flax seed + brewer's yeast boosts breast milk production, and you will see great results from this combination in your smoothie! As a breastfeeding momma, I’m always looking for way to keep my milk supply up. If you were to add oatmeal how much would you use?